This article is about the mini MPV produced between 1998 and 2005. For the subcompact car produced since 2012, see Mitsubishi Mirage. 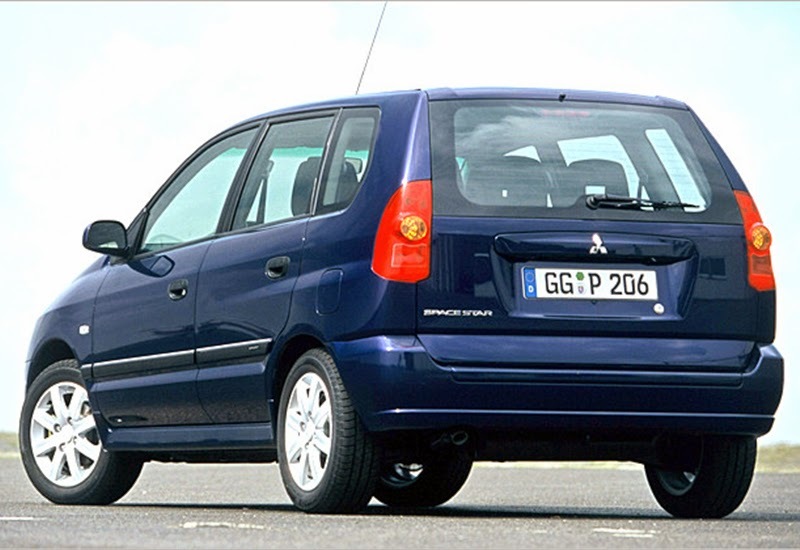 The Mitsubishi Space Star is a multi-purpose vehicle (MPV) produced by the Japanese manufacturer Mitsubishi from 1998 to 2005. It was built at the NedCar factory in the Netherlands and was primarily sold in the European markets. 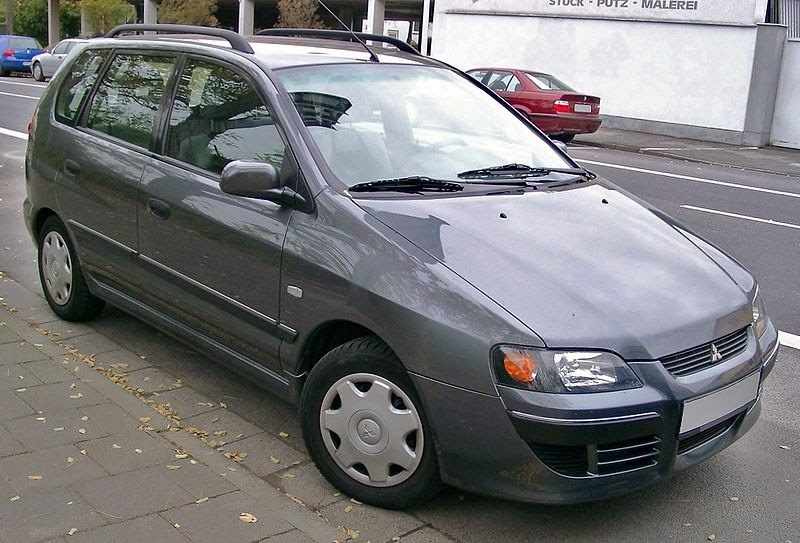 In 2013, Mitsubishi began selling the sixth generation Mirage supermini under the Space Star name in parts of Europe, owing to legal rights relating to the use of the Mirage nameplate. The Space Star shared its platform with the Mitsubishi Carisma and Volvo S40/V40. 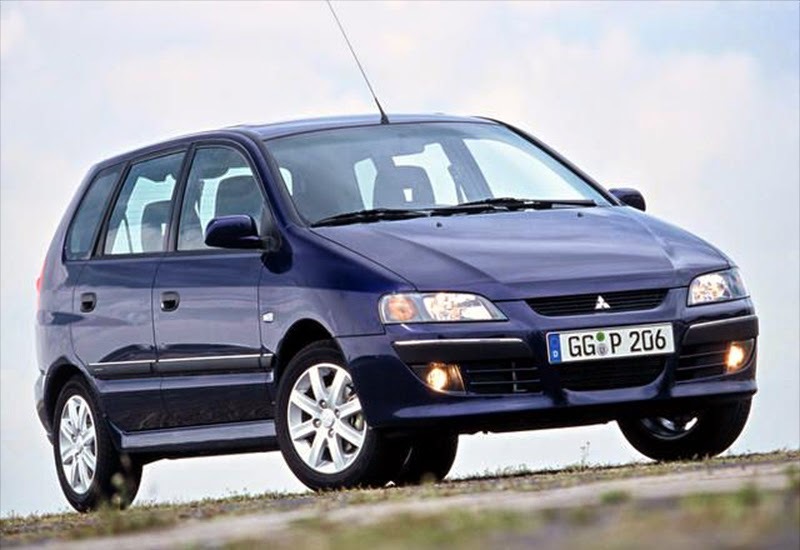 It was first introduced to the market in the fall of 1998, replacing the Mitsubishi Space Runner. Production of the Space Star stopped in 2005. Since the car's introduction to the market its visual appearance stayed almost identical and it only received a minor facelift in 2002. In 2001 the Space Star was crash tested by EuroNCAP and received a three-star rating for the safety of its adult passengers and a two-star rating for the safety of pedestrians. The base Space Stars were equipped with 1.3 litre petrol engines with a maximum output of 80–84 horsepower (60–63 kW). The other gasoline-powered engines were a 1.6 litre with 97 hp (72 kW) and a 1.8 litre with 112 hp (84 kW). A model equipped with a 1.8 litre GDI engine with 121 hp (90 kW) was available until its discontinuation in 2002. Diesel engines were the 1.9 L DI-D with 101 hp (75 kW), introduced in 2002, and the 1.9 L DI-D S version with 115 hp (86 kW), released in 2003. All engines are straight-4 engines. The sixth generation Mitsubishi Mirage, released in 2012, is rebadged as the Mitsubishi Space Star in the European markets. It is a supermini car, in five-door hatchback body style, powered by a three-cylinder petrol engine. Last updated on 17 January 2014 at 17:19.